Implement all mechanical servicesof heavy-duty trucks and trailers and other mechanical activities for company vehicles. Must have minimum 8-year experience on heavy duty track and other vehicles mechanical. Certificate in Mechanical Engineering issued by NIT, VETA or any other recognized institute. 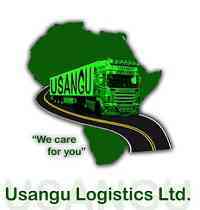 Human Resource Manager, Plot 24, Nelson Mandela Rd, Usangu Logistics (T) Limited- Head Office, P.0 BOX 79421, Dar es Salaam, Tanzania.